The Ladies World, November, 1910. Poster Print. T M Burd. Home » The Ladies World, November, 1910. Poster Print. T M Burd. 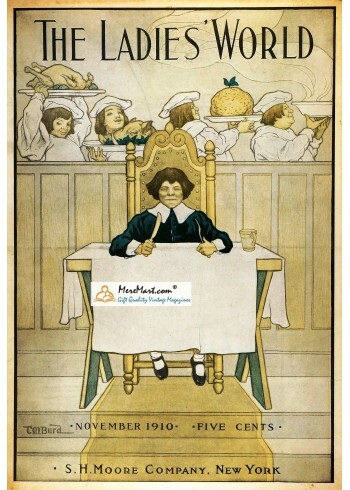 Your poster print of The Ladies World, November, 1910 will be created using an image identical to the one you see on the product page, minus the MereMart.com watermark. We made a substantial effort to gather the highest quality photos of magazine covers. We also professionally removed many blemishes and optimized colors of every image. Please keep in mind, however, that as some of the photos were taken from very old and rare publications, they may still show minor traces of original magazine wear. Please examine the image carefully, to make sure there are no surprises when you receive your poster. Also, the larger the poster is, the more noticeable imperfections can be. Your poster will be professionally printed on large-format premium density and microporous photo grade paper. Whether Matte or Glossy, our posters are created using top-of-the-line printers and high-grade pigment ink. All our prints are smudge and fade resistant. Your satisfaction is 100% guaranteed. Every print is hand checked for quality before it ships. We don't settle for less than the best, and neither should you. 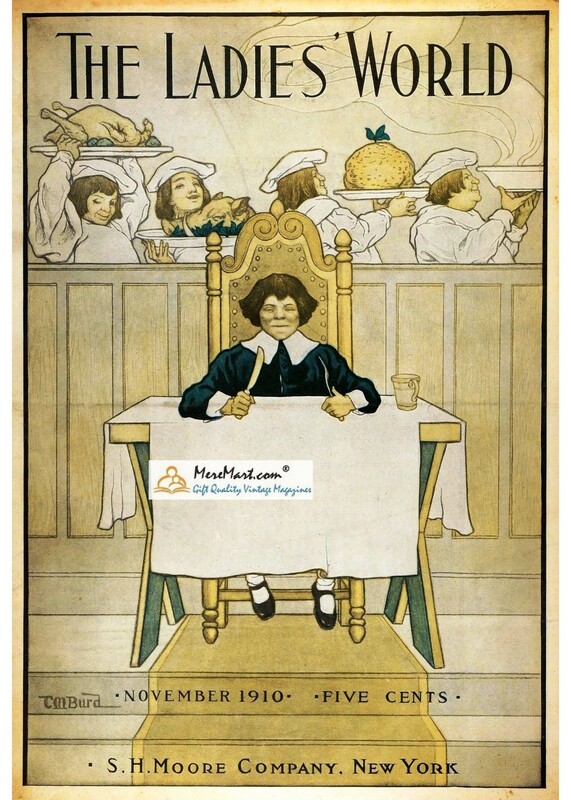 This poster print is part of our large thematic holiday collection, for which we hand-select antique beautiful magazines and organize them by holidays and special collections. Most of the magazines come from 19th and the beginning of 20th century. We hope browsing this unique collection makes your shopping experience both simple and fun. The Ladies World, October, 1908. Poster Print. Leyendecker.